"You have done your duty like a good boy..."
Thoughts of fighting and dying for the glory of a noble cause have swelled many a heart throughout the ages, particularly those of young men eager to prove themselves. The American Civil War was no exception. The young men who filled the ranks of both sides shared a common bond with their counterparts of wars past: an eagerness to uphold their cause by engaging in destruction and bloodshed, the scope of which their naive young minds could not comprehend. And for most, as with wars past, once the initial euphoria wore off, the harsh reality of army life and battle quickly transformed bright enthusiasm into despairing weariness and despair as the war dragged on. A few were able to relate in their letters home their feelings and to follow the correspondence of such young men is to trace that transformation from youthful innocence to the melancholy of experience. The Dickinson College Archives and Special Collections houses a collection of letters such as these. Comprised of eighty pieces of correspondence, this collection chronicles the military service of John Taylor Cuddy, a Carlisle, Pennsylvania boy who enlisted in the Pennsylvania Reserves after the outbreak of war in the spring of 1861. 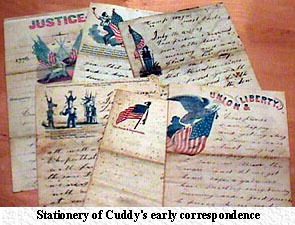 The majority of the letters Cuddy wrote to his family and friends at home in Carlisle during the term of his enlistment, from June 1861 to late April 1864. Taken together, they paint a portrait of a young man whose falls victim to this wartime mentality and learns its awful lessons. Little is known of Cuddy’s early life. He was born the second son of John H. and Agnes Cuddy of Carlisle on October 17, 1844. In addition to John Taylor, the Cuddys had four other sons, Alfred, Robert, Edward, and Frank, and a daughter, Margaret (Maggie); two other sons, William and James, had died in 1849.1 The family owned and operated a distillery in town; when he enlisted, John Taylor denoted his occupation as “distiller” and referred to the “distilling house” in his letters. Cuddy’s grammar and spelling are very similar to that of his mother, so he may have received his education at home. After the attack upon Fort Sumter in April 1861, President Abraham Lincoln sent out a call for 75,000 volunteers to serve for a term of three months. Throughout the Union, men enlisted by the thousands; within a week of this request, four volunteer companies of fifty to one hundred men were organized in Carlisle. One of the companies, led by Captain Robert M. Henderson, was known as the “Carlisle Fencibles”; although these men enlisted for a three-year term instead of three months, they fully expected the war to be over within months.2 The Fencibles were mustered into service on April 21,1861, but were not given orders for two months. Finally, orders came on June 4 that in two days the company was to report to Camp Wayne in Chester County for training; actions were taken in order to round up the volunteers. As some men had changed their minds after the fervor died down, new men enlisted to help fill in any vacancies created by these defections. The “Carlisle Fencibles” subsequently became Company A, 36th Regiment, 7th Pennsylvania Reserve Corps, and John Taylor Cuddy was mustered into this regiment on June 5, 1861. He was not yet seventeen, but he listed his age as eighteen to avoid complications. Cuddy’s first letters to his family leave no misconceptions as to why he enlisted. He is adamant in his defense of the Union and its principles, and expounds on this subject. 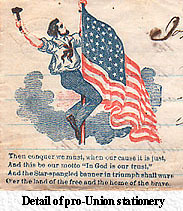 Letters from Camp Wayne captured the patriotism and excitement of the young men who enlisted to preserve the Union. Although Cuddy had not yet left training camp, he remained extremely confident in the might of the Union army and its ability to put down the Rebellion. Of course, Cuddy had probably never met or conversed with anyone from the South. His words, however, ring with the bravado of an eager young soldier. Cuddy wrote home many times during his stay at the winter camp, but as nothing very exciting was happening, these letters discuss such mundane topics as being paid and descriptions of the countryside. He still expected the war to be resolved quickly and held the rebels in low esteem: “we are expecting a fite every day but the rebels will not atacket us for they are afrade of us[.] we have good times at soldgering[.] the rebels is very strong up at leas burg.”6 However, as several months passed and the war continued, Cuddy was not so much disheartened as slightly dismayed. He and his fellow soldiers had not enlisted to sit around a campfire and wait; they longed for a chance to show their southern counterparts the error of their ways. The regiment finally broke camp in mid-March 1862 and moved to Alexandria, Virginia. The spring rains created a mess of mud and muck through which the army had to march, and the dismalness certainly took its toll on morale. This letter contains the first intimation of Cuddy’s frustration that the war is not yet over and that “soldgering” does not hold the excitement that it once did. He had been in the army for ten months and had not yet seen any real fighting; his only duties seemed to be marching through mud and going out on picket duty. His letter of 30 April 1862 indicates that the reality of the situation is beginning to set in for him and his fellow soldiers: “i think in a few monthes more this ware will be over for i am tiard of it[.] i have seen a nuf of vergineya now[.] i have ben soldgering a leven monthes now[.] i would like to be with you all tonite but i can not.”8 Spirits were lifted briefly when Captain Henderson, the man who helped form the Fencibles, visited and mentioned that he might be able to arrange for the regiment to return to Carlisle. Cuddy and his colleagues were much excited at the prospect; the drudgery of army life would be tolerable if they were at least closer to home. However, the transfer was never made, and the regiment remained in Virginia. For the next few months, they moved from camp to camp, finally settling on the Chickahominy River near Richmond. Here, as part of the 2nd Brigade, they were attached to General Fitz John Porter’s 5th Army Corps. On 26 June 1862, the regiment finally engaged in its first real battle at Gaines’ Mill and Mechanicsville. Cuddy, as part of Company A, was deployed as a skirmisher. On the next day his company moved to the left side of the line as a reserve. The Confederates took control of the field, however, and the Union army retreated back across the Chickahominy to the Charles City Road, which it did not reach until late in the evening of 29 June. Here they were again attacked, the two sides engaging in fierce hand to hand combat with bayonets; this time the rebels were repulsed, and the Union army moved to Harrison’s Landing to regroup and rest. Casualties had been heavy in the 36th. Only about 200 remained untouched in the regiment, 301 having been killed, wounded, or gone missing; several officers, including Captain Henderson, were among the wounded.9 Cuddy survived the battles physically unscathed, but not mentally or emotionally; his desire to return home increased dramatically. Just a week later, his letter of 8 July, though still with signs of bravado, paints a bleak picture for his family back home. The young soldiers had finally been exposed to the cold reality of the death and destruction war brought on, and they were not unchanged. After a year of marching and performing picket duty without engaging in any major fighting, the regiment was subjected to further skirmishes and minor battles throughout the summer of 1862. The 7th Reserve joined the Army of Northern Virginia in August and encountered minor skirmishes in marching from Upton’s Hill to Munson’s Hill near the Rappahannock River. Soon after, the corps returned to Meridian Hill near Washington with the Army of the Potomac in early September; from here they marched to Frederick City, Maryland, where rebel forces attacked them at South Mountain. 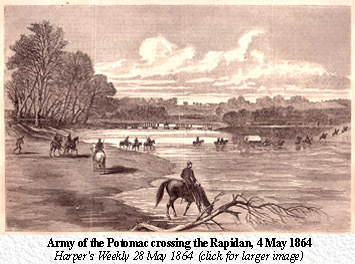 Nevertheless, the regiment continued along the turnpike towards Hagerstown, arriving fatefully on the soon to be famous Antietam Creek near Sharpsburg. During the “bloodiest day” of fighting, as the Battle of Antietam has come to be known, the 7th Reserve was severely engaged in the fighting; forming part of the left flank, it was subjected to very heavy fire. The corps helped to repulse the rebel onslaught, but the losses were heavy; Company A lost five men in the explosion of a single shell.11 Curiously, Cuddy made no mention of the battle in his letter of 30 September 1862 written from Sharpsburg; he merely states that he arrived at camp the night before and that he had been into Hagerstown. One of his last lines expresses his joy at having been home to see them all, so he may have had the incredible good fortune of paying a visit at home while his regiment participated in the fiercest fighting they had seen. Still, this post-Antietam letter is interesting also in that Cuddy comments on a very important development in the political aspect of the war. Immediately following the Battle of Antietam, President Lincoln issued a preliminary decree that served as a precursor to the Emancipation Proclamation. 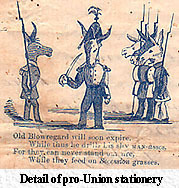 Although this decree was intended to demoralize southerners by inciting the slaves in Confederate territories to fight for the Union, it also adversely effected the northerners who had thus far achieved little success in their fight to preserve the Union. In their minds, by making this decree Lincoln had altered the cause of the war from the preservation of the Union to the emancipation of the slaves. While the former was the rallying cry of most northern soldiers, the latter was anything but; northerners were opposed to slavery, but they did not want to fight for blacks. Lincoln had shifted the focus of the war, which angered the common soldier and added to his disillusionment. Cuddy was no exception, and he voiced his clear disapproval. The combination of exposure to the horrors of war and the shift in the war’s focus had taken its toll on Cuddy’s fervor and devotion to doing his duty; he began counting the days until his term of enlistment was over and he could return to Carlisle. The coming months marked a turning point in his and others’ opinion of that noble war in which they were engaged. The 7th Reserve fought heroically in the Battle of Fredericksburg of 10-12 December 1862; although the battle was ultimately a defeat for the Union army, soldiers in the 7th captured several enemy officers, soldiers, and souvenirs. Their losses, however, were also great. 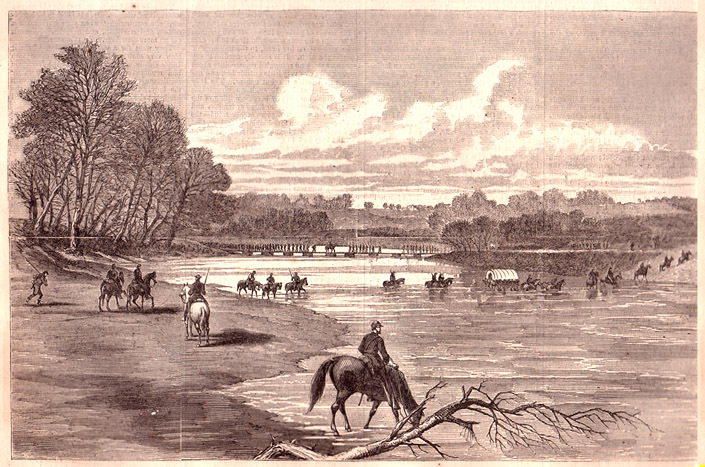 After the battle, the regiment established winter camp at Belle Plain on the Potomac; any attempts to cross the river were thwarted more by the mud and swollen waters than by enemy attacks. Conditions in camp were atrocious, and by spring the ranks had been greatly reduced as a result of the fierce fighting experienced in the fall and by sickness brought on by the inclement weather. Morale equally suffered when the entire division was ordered to duty in the Department of Washington, the main objective being the defense of the capital. 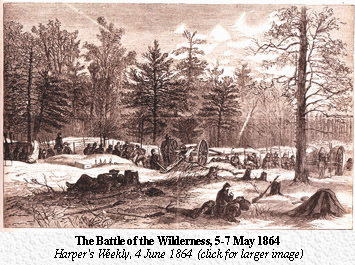 In this capacity, the division marched to Alexandria in February 1863 before returning to Upton’s Hill where they had camped the previous summer. During this time Cuddy wrote to his parents every week, sometimes within a few days of his last letter. Army life for him and his colleagues had grown tedious; as Cuddy described it, “soldgern is geting played out....”13 His rhetoric turned from that of optimism for a swift and successful conclusion of the war, to the anticipation of mustering out. His continued frustration with the slavery situation became more evident, as did his growing concern about his survival. Life did not improve for the soldiers, as their orders kept them in the general vicinity of Washington and Alexandria. They returned to camp at Washington in May but saw no military action. Frustrated, Cuddy decided to ask for a furlough. He wrote home five times in the month of May, asking his father to write to Pennsylvania Governor Andrew Curtin to request a furlough. Curtin had developed a reputation for being an ally of Pennsylvania soldiers, and Cuddy felt certain that this was the only means of securing a pass. In his letters to his father, he justified his desire to come home, stating that he had been in the army for nearly two years and had always done his duty as a good soldier and citizen. John H. Cuddy did write to Governor Curtin on behalf of his son and was granted the furlough; the reply from Curtin’s secretary dated 10 June 1863 is included in this manuscript collection. Unfortunately for the younger Cuddy, he would never be able to take advantage of the governor’s favor: Confederate forces invaded Pennsylvania just days after the furlough was granted. Cuddy apparently never learned of the furlough, as he did not mention it. He did, however, express the frustrations the members of the regiment t felt when they were not able to defend their homes themselves. The regiment was still stationed in Washington; they were not deployed during the Gettysburg campaign and therefore did not participate in one of the most important battles of the war, and one that particularly brought the war home to their families. After the battle, a family friend wrote to Cuddy’s mother Agnes, inquiring about the occupation of Carlisle, particularly the burning of the garrison there. She also asked for an update on Cuddy’s situation, as she confessed to Agnes that she had a dream that he had been wounded.18 Of course, the only wound Cuddy received was to his pride, as he was not able to defend his home against the rebel invaders. Sherman’s “March to the Sea” in November and December 1864 secured the release of the Florence prisoners within a few months, but many of the regiment had already succumbed to the exposure suffered at the prisons. Many more would die within a few short years of returning home, never having fully recovered. 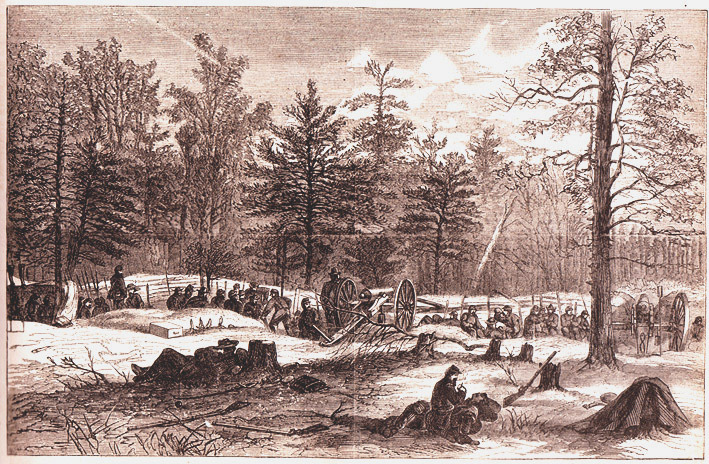 The remaining 110 members of the regiment had continued to fight under Captain Samuel King, although ultimately the Wilderness Campaign was not a success for the Union army. The ranks having been completely decimated by the battle, those who remained were mustered out of the army on 16 June 1864. Both Samuel Elliot and John Faller survived the horrors of Florence and returned to Carlisle in 1865. The importance of the John Taylor Cuddy collection lies in its depiction of the evolution of a young soldier from brash youth to weary veteran. Through his own words, Cuddy becomes more than another faceless casualty of the Civil War; the reader is privy to his thoughts on the Union and on slavery, and to his changing opinion of the war effort as the fighting continues year after year. While Cuddy’s service did not have a great impact on the war itself, nor do his letters reveal any novel details of military engagements, they illustrate the human face of the war. They remind the reader that, as with most wars, these were real men fighting an enemy, exactly like themselves, for reasons that they did not entirely comprehend. Although Cuddy ultimately gave his life for his country, the record of that life is not lost, and his letters reveal that he was just an average young man with as much enthusiasm, excitement, disenchantment, and fear as any other human being. Perhaps the best illustration of that human face comes from the most poignant document in the collection. It is not one of Cuddy’s homesick notes to his family, or the letter granting his furlough, but is instead the only letter written to Cuddy. 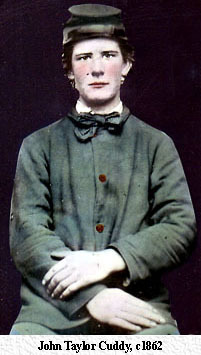 Agnes Cuddy wrote to her son on 1 May 1864, expressing her dismay that he was being sent to the front again as well as her hopes that they would be reunited soon after so long a time. Unfortunately for the Cuddys, that reunion would never come. John Taylor Cuddy never received this last letter from his mother; her loving sentiments were never able to comfort her son at the end of his life when he needed them the most. 1. Sarah Woods Parkinson, Memories of Carlisle’s Old Graveyard (Carlisle, PA: Mary Kirtley Lamberton, 1930), 53. 2. Milton Flower, ed., Dear Folks at Home: the Civil War Letters of Leo W. and John I. Faller, with an Account of Andersonville (Carlisle, PA: Cumberland County Historical Society, 1963), 2. 3. John Taylor Cuddy, Letter to John H. Cuddy, 30 June 1861. John T. Cuddy Papers (MC 2001.9); Dickinson College Archives and Special Collections. 4. Ibid., Letter to John H. Cuddy, 7 July 1861. John T. Cuddy Papers (MC 2001.9); Dickinson College Archives and Special Collections. 5. Samuel P. Bates, History of Pennsylvania Volunteers, 1861-5, vol 1. (Harrisburg: B. Singerly, 1869), 722. 6. John Taylor Cuddy, Letter to John H. Cuddy, 6 January 1862. John T. Cuddy Papers (MC 2001.9); Dickinson College Archives and Special Collections. 7. Ibid., Letter to John H. Cuddy, 17 March 1862. John T. Cuddy Papers (MC 2001.9); Dickinson College Archives and Special Collections. 8. Ibid., Letter to John H. Cuddy, 30 April 1862. John T. Cuddy Papers (MC 2001.9); Dickinson College Archives and Special Collections. 10. John Taylor Cuddy, Letter to John H. Cuddy, 8 July 1862. John T. Cuddy Papers (MC 2001.9); Dickinson College Archives and Special Collections. 12. John Taylor Cuddy, Letter to John H. Cuddy, 16 January 1863. John T. Cuddy Papers (MC 2001.9); Dickinson College Archives and Special Collections. 13. Ibid., Letter to John H. Cuddy, 3 March 1863. John T. Cuddy Papers (MC 2001.9); Dickinson College Archives and Special Collections. 15. Ibid., Letter to John H. Cuddy, 21 May 1863. John T. Cuddy Papers (MC 2001.9); Dickinson College Archives and Special Collections. 16. Ibid., Letter to John H. Cuddy, 28 May 1863. John T. Cuddy Papers (MC 2001.9); Dickinson College Archives and Special Collections. 17. Ibid., Letter to John H. Cuddy, 15 June 1863. John T. Cuddy Papers (MC 2001.9); Dickinson College Archives and Special Collections. 18. Susanna Thompson, Letter to Agnes Cuddy, July 17, 1863. John T. Cuddy Papers (MC 2001.9); Dickinson College Archives and Special Collections. 21. Diary of Samuel Elliot, reprinted in Bates, 732. 23. Agnes Cuddy, Letter to John Taylor Cuddy, 1 May 1864. John T. Cuddy Papers (MC 2001.9); Dickinson College Archives and Special Collections.